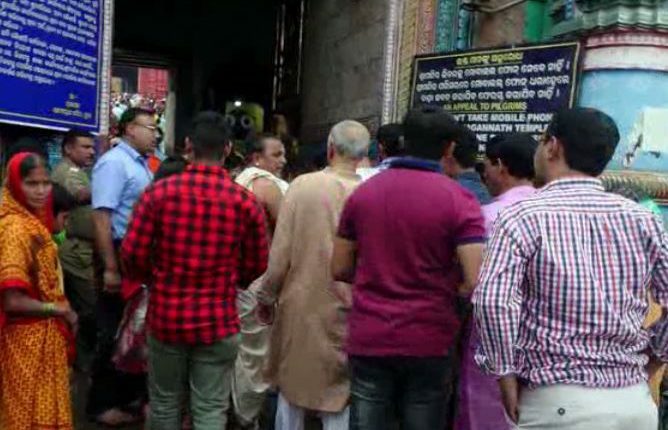 Puri: The Holy Trinity, Lord Jagannath, Balabhadra ad Devi Subhadra were decked up in Suna Besha at Sri Jagannath temple here today to mark the holy Dola Purnima, a day on which the deities play colours with devotees and servitors. As per the practice special rituals are being held at the temple since early morning during which Lord Jagannath was placed on Dola Bedi (altar) as Dola Gobinda along with Goddess Sridevi. By donning the Suna Besha, which is also known as the Raja Dhiraja Besha the deities played colour with thousands of devotees who had already flooded the town since yesterday. 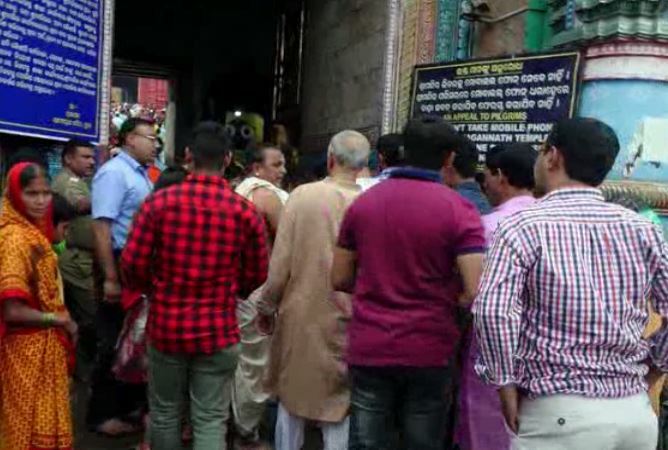 Notably, ‘Mendhapodi ritual was held at the Sri Jagannath temple, yesterday. The ritual started soon after the performing of the Madhyanha Dhupa (afternoon food offering) and the deities were taken to the Dola Bedi in ‘Bimanas’ or decorated palanquins to allow devotees to take a glimpse. Notably, Dola Purnima is celebrated every year on the full-moon day in the Odia month of Falguna.